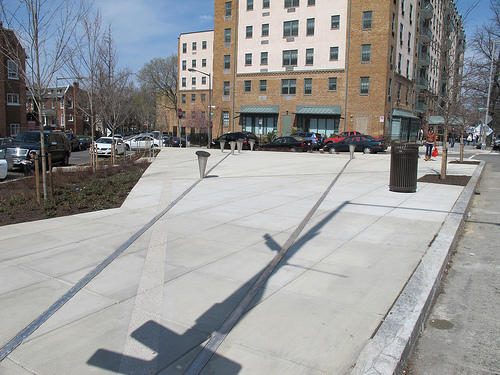 PoPville » Revisiting the Pocket Park at 14th and Oak St, NW/What the Helen of Troy is This? 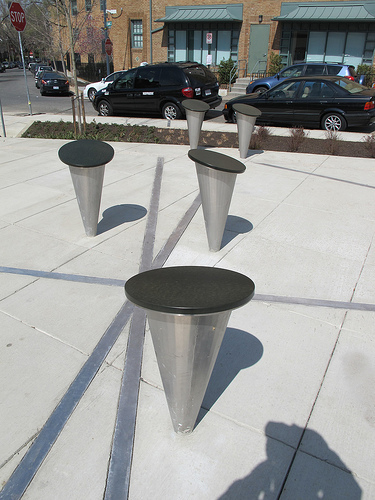 Revisiting the Pocket Park at 14th and Oak St, NW/What the Helen of Troy is This? When we looked at the park early last week the fences were still up. I finally got a chance to see it without the fences and I now see what everyone was talking about. This does feel like an awful lot of concrete. But if the city/neighborhood can set up a mini crafts fair and/or music I still think it can be a useful space. But I do have a question – what the helen of troy are these?